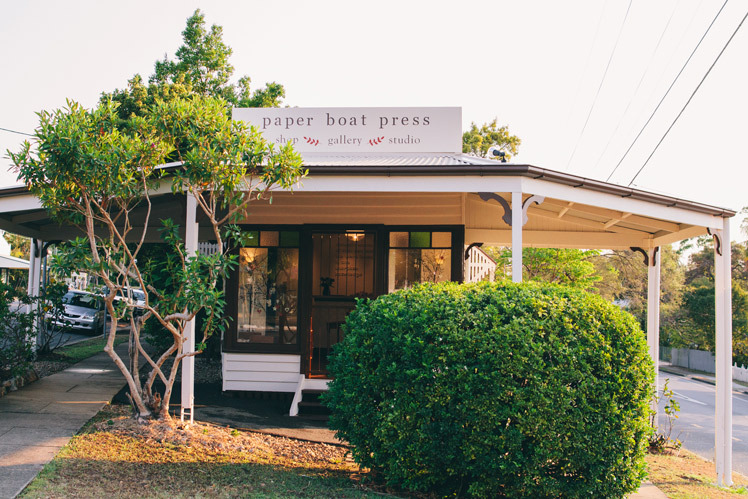 FK chats to the Kylie Johnson of well loved ceramic label, paper boat press, who’s label has evolved into a beautiful store & gallery to visit in Ashgrove, Brisbane. 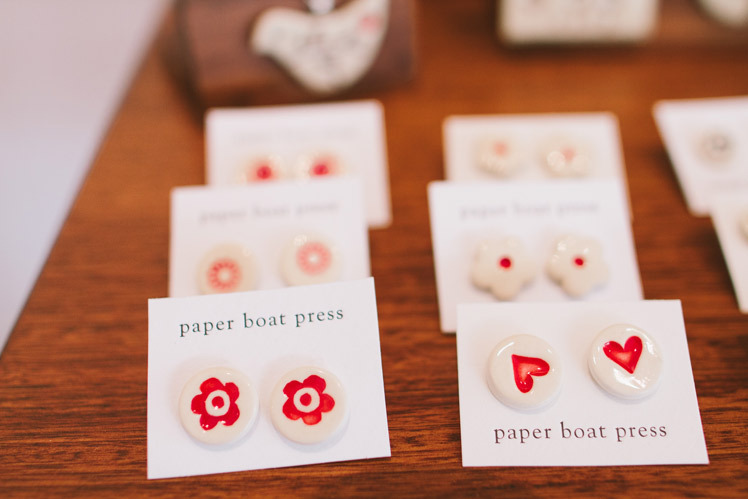 Tell us about your store & gallery paper boat press and what things we can expect to discover? I often refer to the store and gallery as my Goldilocks space… it is not too big and not too small, it is just right. The store is located in a building built in 1926 so has a lovely age and heritage, and it is also an usual shape, almost triangular in design. 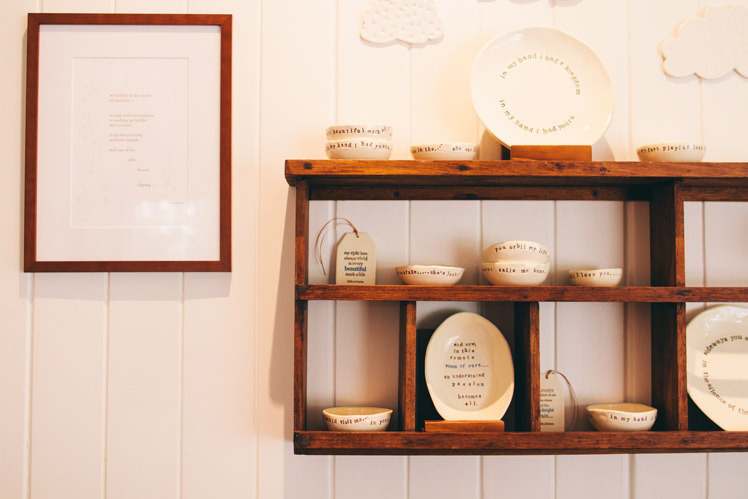 The space is full of all aspects of my work, with an obvious heavy emphasis on ceramic work, but it has also been a lovely way to showcase some of my limited edition letterpress prints of my poetry, some ceramic wall pieces and also an ever expanding collection of my stationery range. 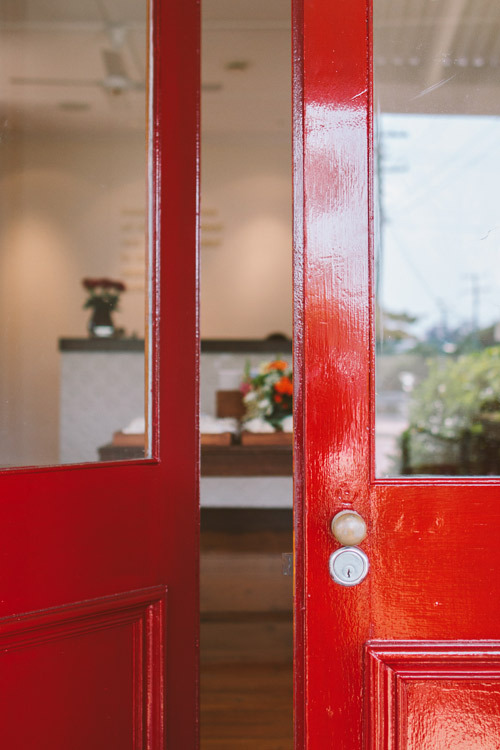 The space and walls are filled with an eclectic collection of timber furnishings, some vintage and antique and some purpose made. The gallery space (which is essentially the front part of the space including the large windows) has also proved to be an inspiring part of this new venture, we had two solo shows last year, and a group show. And this year we already have three exhibitions on the way. Liana Kabel ‘Rhinestone Cowgirl’ opening March 14, Bridget Bodenham (still yet unnamed solo show) opening May 30, and in late July Momoko and Tetsuya Otani (a Japanese husband and wife team of potters) are coming to showcase their beautiful work here in their first Australian show… I am so honoured and thrilled to be able to showcase and curate such shows as well as keeping my store stocked full of my regular paper boat press work. We opened in late October 2012… and it was a little bit of long short story… for the last few years friends and family kept saying that the next step would be opening a gallery, as paper boat press has been around since ’95, in the last 10 years it has been my full time living so i am always in need of new challenges. The building came up for sale and one of my studio girls said to me “did you know that ‘that‘ shop is for sale” within a week we’d started to work out how to make this happen. Within the next 3 months the property was ours and within 6 months I had moved home studio and opened a shop. So I suppose it was something I’d been working towards for a long time, and it all actually (although with huge amounts of sweat and tears and shear hard work) it came together quite easily as I had most of the furniture, and a clear vision about how it was going to look… including painting the bright blue and yellow walls a soft white as soon as was possible !!! 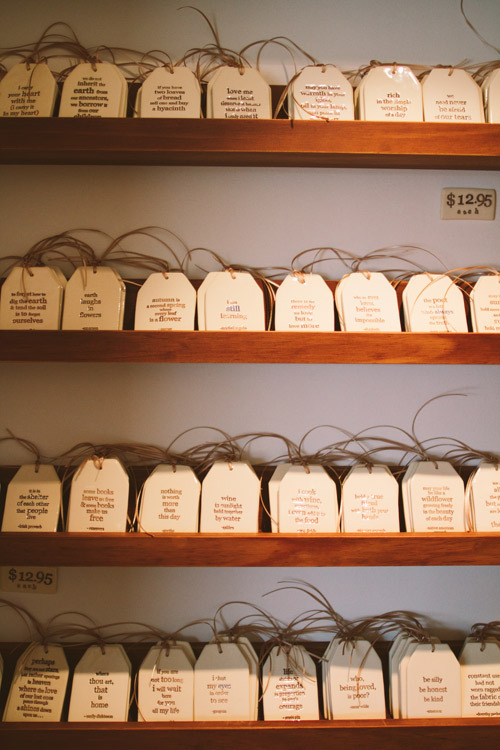 How do you balance your time between the store, gallery and studio? 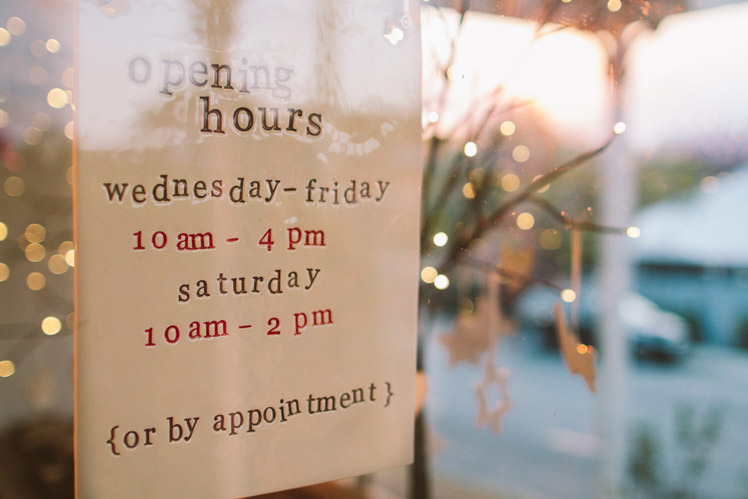 As we are only open Wednesday to Saturdays, I have a shop girl Teresa who is a super sales girl who mans the shop two days (while helping out the back in the studio with online and wholesale orders too). One day we take it in turns and go out when the buzzer goes between myself and other studio girls, and then Saturdays I’m usually in store, alongside my sister Tiffany who is a business woman weekdays and shop girl Saturdays… I need to have my hands in the clay through the week, so although I’m in and out of the shop a lot, I am more often then not, out the back in the studio. There are so many things that I love, so many… As a long time dream to have a shop and gallery space it is kind of a dream come true. 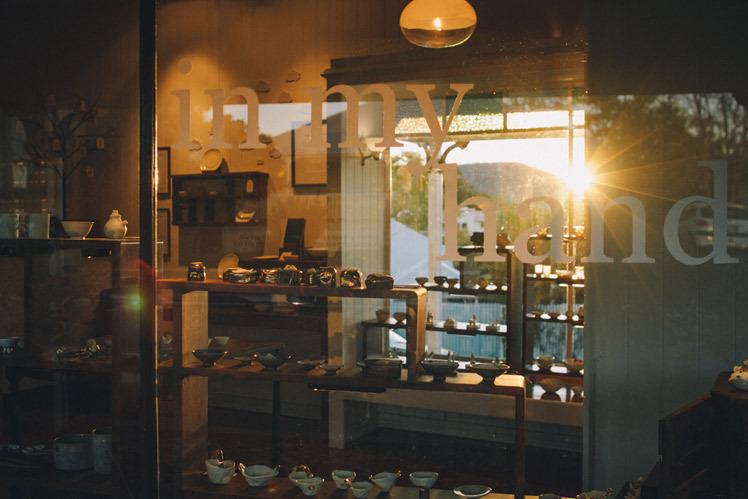 I love the space and the light, I love that I can try new things that I might not (or for cost reasons) can’t wholesale, I love that I have to think up window displays (most often made of ceramic). It’s been fun to style the shop, curate exhibitions, design new products. What inspires you about your surroundings and what other aspects about Ashgrove and Brisbane do you love? 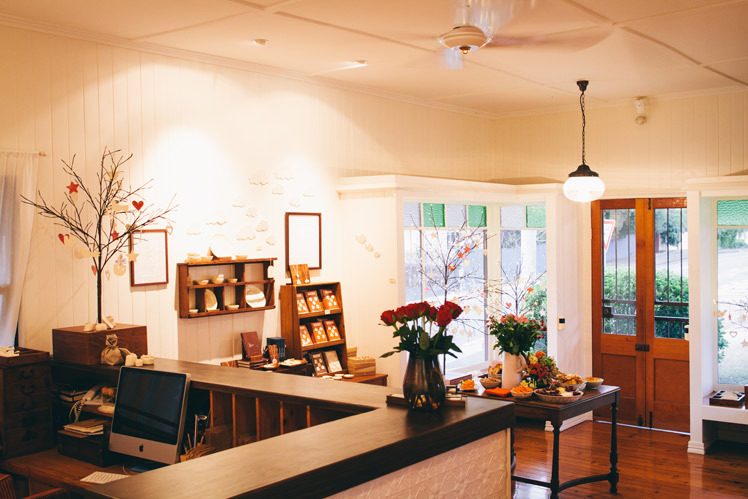 I do love that Brisbane is pretty laid back, there is space to park around the shop, it is kind of suburbia but still so close to the city so easy to get to… My customers are so very lovely and this is the true gift of such a venture. Time, time, time, is always the up hill battle, not enough time to make new work, answer emails, trying to let things go… let others help. I have wonderful staff so more and more I need to hand work over as I’m not able to do everything by myself. Another thing that is most challenging is riding the waves of sales, I have a bookkeeper to handle my accounts, BAS etc… but I still do all the invoicing and pays and some weeks everyone and everything gets paid but me… but that is ok because I am part of the bigger picture and we keep growing and growing so you ride the waves and hold on tight and enjoy the ride…. Well, well, There you are. It is so good to see you doing so well since you first started in the booth across from mine in the trade show all those years ago. You are amazing and beautiful and talented and I wish you every success in every facet of your life. The joy of life is a flower and a dog. I am soooo proud of you. Go Girl!!! !